Books are strange things. In the 21st century, they’re curiously out of whack with our demands for immediacy, and fast being replaced by digital equivalents in many settings. Yet they carry a certain gravitas about them, perhaps due to their permanence or even their physical weight – not to mention the effort required to author, edit, publish and distribute. 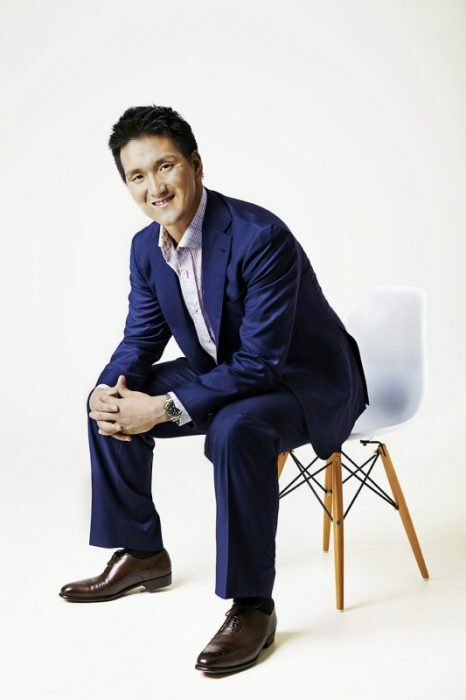 Perhaps that’s why I was initially sceptical when I became aware of the output from publishing and life partners Charine Tan and Dr. Matthew Horkey, better known as Exotic Wine Travel. 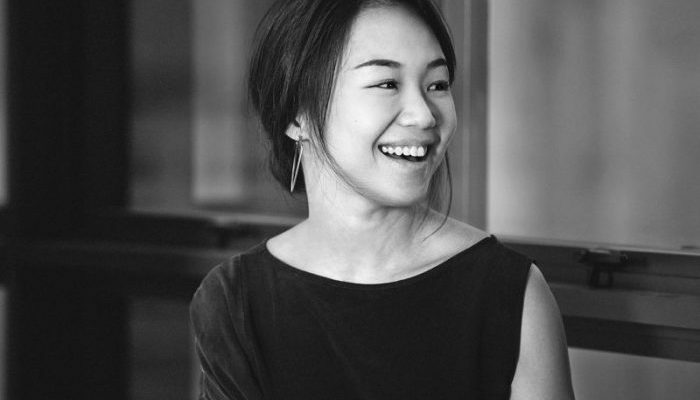 This energetic young couple decided to give up their jobs in Singapore (Matthew is originally from the US) and travel the world, becoming permanently of no fixed abode in 2015. Their aim? To visit off-the-beaten-track winelands and chronicle them for their followers. Over the last two years, they’ve presumably achieved gold on every airline loyalty programme going, and released no less than three books, on the wines of the Caucasus, the wines of Croatia and the wines of Santa Barbara. Three books researched and written within 24 months, by a couple presumably still finding their way in the wine world doesn’t seem like a recipe for success. How could this very fast pace bring the necessary gravitas – the necessary weight – to the task in hand? That’s what I pondered until Charine and Matthew were kind enough to send me a copy of their latest book Cracking Croatian Wine. Cracking Croatian Wine, like all the Exotic Wine Travel books, doesn’t try to be an expensive coffee table book or some kind of magnum opus. It was written and produced quite quickly and is printed to order with a basic, black and white design inside a glossy colour cover. But it admirably achieves everything it sets out to do – which is to provide a usable guide for anyone exploring Croatia’s wine regions. I remember my first visit to Dalmatia (southern coastal Croatia) in 2011 very well. I spent days trying to find information about which wineries might be interesting, who it was possible to visit and how to make contact. I found only a rather minimal e-book which was out of date and of little help. There was nothing else available in bookshops or online, and I didn’t have the industry contacts I have now. In the end, I located two or three wineries randomly via twitter and pieced together a scant itinerary. Had Cracking Croatian Wine been available, I strongly suspect I’d have had a lot more fun. This 200-page book catalogues an impressive selection of wines and wineries from one end of the country to the other, all with useful detail and straightforward descriptions. There’s no pretension, no obvious bias (big or small, radical or conventional are all profiled) and no waffle. Including content from sommelier and Croatian wine expert Cliff Rames, plus local writer/journalist Saša Špiranec gives the book an extra layer of credibility – a nice touch. Exotic Wine Travel write well – the content is concise, well researched, and as far as I could see error-free. Self published books of this nature tend to suffer from poor or non-existent proof reading, but that wasn’t the case here – so a big thumbs up, especially with subject matter packed full of tricky Serbo-Croat diacritics. The section on understanding Croatian wine labels is inspired, and genuinely useful to decode those long strings of consonants that could mean anything… grape variety, quality level, vintage? There are points that could be improved. The lack of an index is frustrating to say the least – although perhaps less of a serious issue with the digital version. The book’s inner design looks unlovely and a tad amateur – but this is probably missing the point. Cracking Croatian Wine isn’t a hardback atlas that will stay on someone’s shelf for decades, and neither is it a fine art book trying to win design awards. It’s a book for now, a guide to throw into the suitcase or the handbag, without worrying if it gets crumpled or disheveled. Ultimately, it’s hard not to be enthused with Dr. Horkey and Ms. Tan’s dynamism and drive. They’ve come up with a utilitarian format that does exactly what it says on the tin. Combined with their very frequent updates on twitter, facebook, youtube, vivino and several other social media channels I’ve probably never heard of, the information is indispensable and in many cases simply not available anywhere else in a concise readable form. Unstuffy writing that manages to pack in the facts without talking down to anyone is much rarer in the wine world than it ought to be. Cracking Croatian Wine won’t scare anyone off, be they complete wine novice or a pro sommelier. It presumes only the same enthusiasm and curiosity about wine that Matthew and Charine so ably demonstrate. 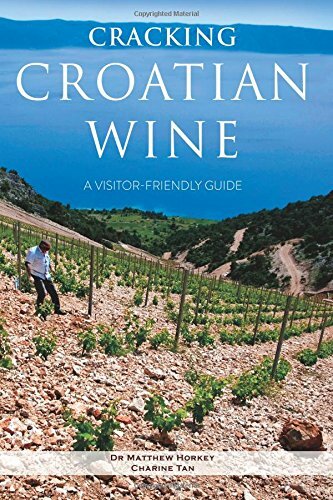 Cracking Croatian is available via the Exotic Wine Travel website as an EPUB, MOBI, PDF (Price $7.99 USD) or good old-fashioned paperback book (price $22 USD). All photos courtesy Exotic Wine Travel. Thank you Simon for the touching review. We worked extremely hard on the project to make it as useful as possible. For anyone interested, the print version is available on Amazon for 17.99 USD. Pleasure! Keep up the good work guys.